Lynn Film Club will host its second annual student film showcase, a proud display of student productions, on Thursday, May 2, in the Amarnick-Goldstein Concert Hall at 7 p.m.
Students have the opportunity to enter their own works into the showcase. The film department is one of the small ones at Lynn; consequently, the event serves as a prime opportunity for individuals to have their films viewed outside the classroom. 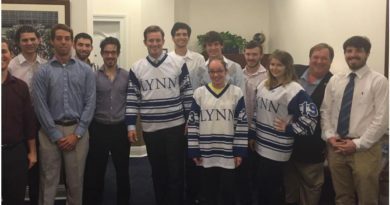 With the first-ever Lynn film showcase proving to be successful last year, the club chose to go all out for this year’s event. While all students may submit their work, there will be a selection process. The club e-board members and head film professor Nava Dushi will choose the films that best represent the department.